Hey Everyone, it’s Tom Karadza, I’m here in downtown Oakville actually both to talk about CIBC and there is CIBC. I’m going to this bakery over here for my son, he’s studying for exams and there are some gluten-free apricot squares that he loves, I’m going to surprise him some of those. I want to talk about corporations. There’s a couple of things, when we started in real estate, we had no concept of using corporations to buy real estate. One of the first things was, we thought we could start a new corporation and then go buy property with that corporation. We were in for a rude awakening when the banks told us, “You can’t just go start a new corporation and then buy a property. We won’t allow you to close on the property. This corporation’s brand new, it has no financial history. You’re going to have to personally guarantee on that mortgage, even if we allow you to close within the corporation. So, that was news to us. We had no concept, that might sound naïve, but that’s where we started from. 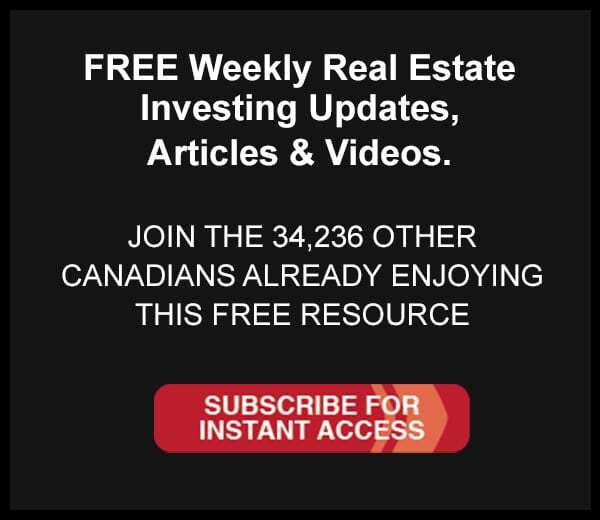 So today, that’s still the case, and not all Canadian banks will even allow you to close on a residential investment property inside a corporation. Only some of them will. So, for example, I know CNBC is, I believe Royal Bank is, you’ll have to check with your bank or mortgage broker to ensure which one is and then you’re still going to have to personally guarantee on that mortgage even if it’s closed inside a corporation, so you get the liability protection of the corporation, but you’re still going to personally guarantee on that more than just the way it is. The other thing to be aware of is, once you started a business, so let’s say you’ve been running a business, for example, Nick and myself have multiple businesses now for over 10 years, and now the banks are more interested in using our business to help us qualify to buy property. So, for example, we’re buying some commercial real estate now, and it’s the health and the financial backbone of our businesses that is allowing us to qualify for that. It’s not our personal finances anymore that is allowing us to qualify. It’s the business financials that are allowing us to qualify. But even in that case, in this commercial real estate example, the bank is basically forcing us to still personally guarantee, even though we’re buying this real estate for one of our business, so this is going to be the new home for Rock Star Real Estate. We still have to personally guarantee all these mortgages and now, after some time and the health of our businesses, you can kind of force the bank to put some time constraints on that so we can have our personal guarantees come off after a certain amount of time and there’s some dollar constraints on that where we don’t have a personal guarantee for the whole amount, but we’re still personally guarantee on the stuff that’s just the way it works in Canada. So, if you’re really talking to anyone who’s buying commercial real estate and they’re telling you they’re not personally guaranteed, that’s likely not the case, unless it’s just some massive corporation and then perhaps, but generally there are still always personal guarantees involved when you’re buying real estate using corporation. Hope that gives you some insight. Until next time, your life your terms. how about income from the corporation? would you still benefit with corporate tax rates vs. personal income tax rates (specially if you have a full time job) ? Hi Kash, in our opinion yes you would. Everyone’s tax situation is different so best to speak with a good accountant. But overall, yes we believe it would!